Disclaimer: This post was sponsored by Teladoc as part of the Mom It Forward Influencer Network. However, all thoughts and opinions are my own. Mom life is hard. Can I say that out loud? Not with a giggle or even a grimace. It’s not a joke or a sad admission at the end of a long day…it’s just a fact. Mom. Life. Is. Hard. Yes, we love it. Yes, we have the utter joy and privilege of helping and loving these babies while they grow, but every minute isn’t a glorious as baby gear commercials might have us think. Part of my mission here at Beauty Through Imperfection has always been to embrace the challenge, love on the hard days, and normalize the fact that this is difficult and we’re all just making it up as we go. This is why I am so excited to be partnering with Teladoc for this post, to share about an important opportunity. Even if this doesn’t apply to you today, I encourage you to read on, because the day might come when your friend needs you to know this information for her. It’s info that’s worth keeping in your back pocket. I’m going to throw some numbers out really quick. I’m not usually a number-y person, I run on feeling and emotion, not statistics. But when I read these numbers out, I was flooded with two strong emotions that I think you’ll feel too. Are you ready? That first number struck me by how HUGE of a number that is. Remember how I said if you don’t need this information some one you love might? Those numbers tell me that people you love and people I love are struggling with anxiety disorders. In fact, I have personally had intense anxiety throughout my life. The second thing I felt when looking at these numbers is sadness. I had no idea that so many people in our country live in a place where it is difficult to have access to a mental health provider. Even living in a big city with plenty of health care providers around, I know how difficult it can be to work out the details of a visit to a mental health provider while also juggling the kids, work and all the other tiny things that we moms have on our plates. Instead of driving for hours to find a mental health provider or being stuck on a waiting list, you can get help 7 days a week from the comfort of your own home (even while the kids are napping!). Teladoc knows how hard (impossible!) it can sometimes be for moms to get the mental healthcare they need be it for postpartum depression, general anxiety or something else. 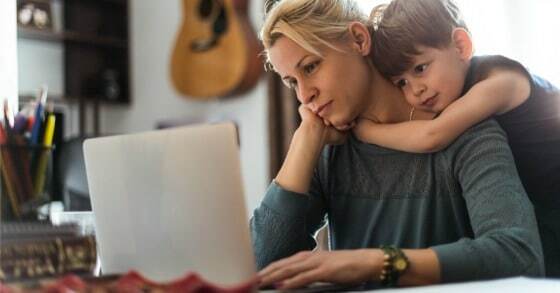 Telehealth is so important for the modern mom, because it means healthcare at our fingertips, even when we are stuck at home with a colic-y baby, or are living in a city far from family and friends who can help us out. 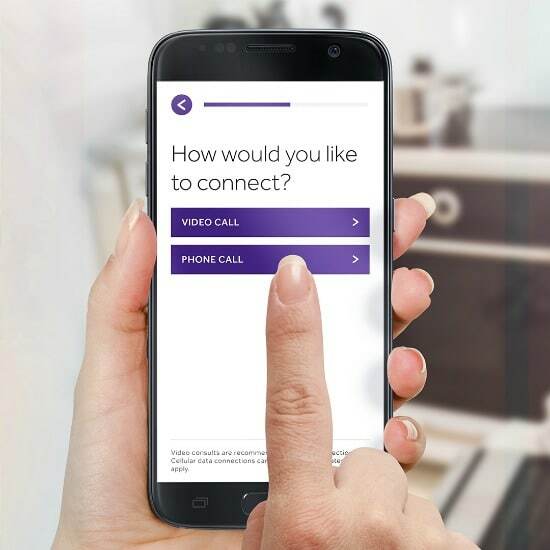 Reaching out for help is hard, and a very personal process, but with Teladoc you are able to choose the therapist you are most comfortable with, and continue speaking to the same therapist for as long as you are with Teladoc. You can be assured that you are speaking with a professional, and that all your visits will be kept confidential. You can find out more information about how it works, make sure you have access via your health insurance / employers, and schedule your first visit. Even though I am in a really good place right now, I have this bookmarked on my computer in case I need it in the future or I want to be able to recommend it to a friend. I love that this is something we can share with our friends who live out of state as well. It makes having conversations around postpartum depression, because we know where we can recommend they go for help if they want to find a therapist. I hope you take the time to check it out if you or a friend are reaching out for help. 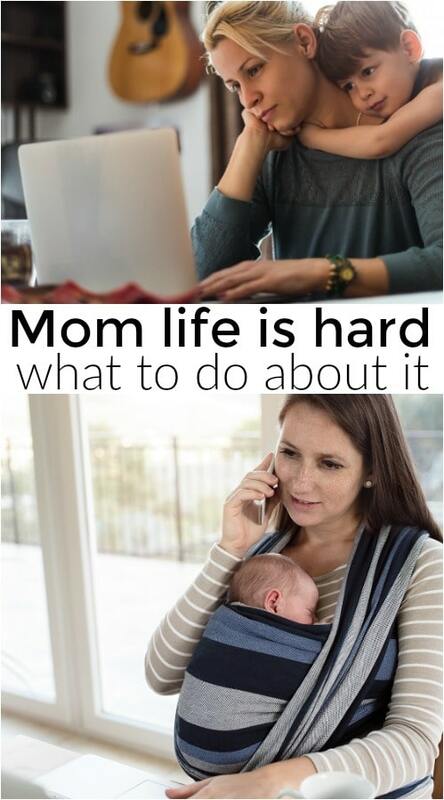 Hey Buddy!, I found this information for you: "Mom life is hard. (Can I say that out loud?)". Here is the website link: https://www.beautythroughimperfection.com/mom-life-is-hard/. Thank you.